Great News: Grab is now ISO Certified! 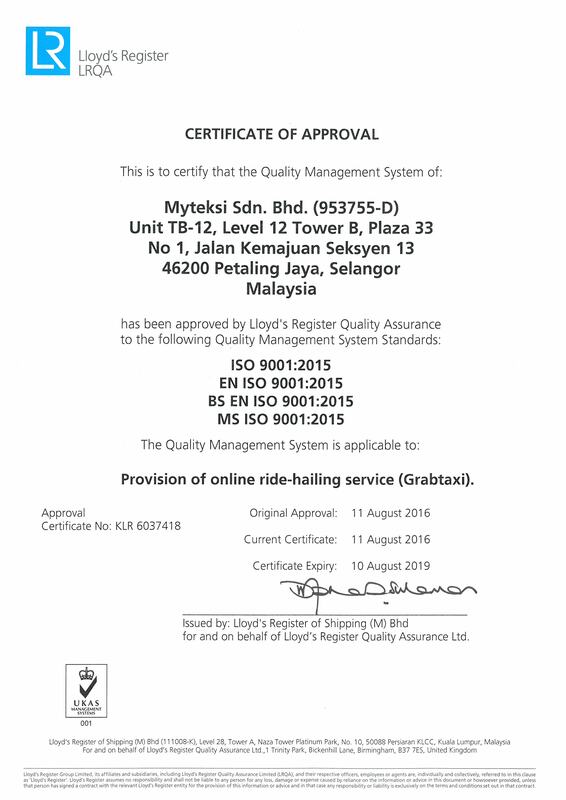 GRAB is proud to announce our recent achievement in obtaining ISO 9001:2015 and we are the First in ride hailing industry globally to successfully achieve a quality review. The ISO 9001:2015 certification is the latest version of the world’s leading quality management standard that sets out the requirements for a quality management system. It helps businesses and organizations to be more efficient and improve customer satisfaction. 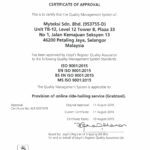 GRAB went through a rigorous process to receive the certification and has satisfied the demanding set of requirements, which have become synonymous with quality business processes and continuing improvement practices for the Quality Management System. What does ISO 9001:2015 certification mean to GRAB? The award of certification reflects GRAB’s commitment in meeting the quality management principles including a strong customer focus, the motivation and implication of top management, process approach and continual improvement. It also enables GRAB to demonstrate to our customers and potential customers that the products and services we offer are of consistently good quality.